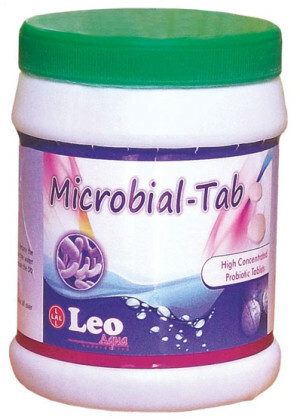 * Reduce the pathogenic bacteria loads quickly . * Reduce the bottom sludge .Reduce the toxic gases quickly . * Improve the water Quality thus Increase pond coloring to desired greenish color. * It is effective in high range of salinity water. Application :Recommended quantity of tablets & distribute all over the pond in sunlight only. * Reduce the toxic gases in bottom of the pond water . * It improves useful bacteria in the pond. * It maintains alkalinity and PH. PLANKTO BLOOM-producing rich plankton for fish and prawns. It is specially designed product that contain all necessary elements in combination with the probiotic bacteria to promote healthy and stable growth of beneficial plankton. Unstable plankton leads to bloom crash, poor survival/growth of shrimp and fish. plankton have highest nutritional value helps in improving the survival and growth rate of cultured fish and shrimp. one of the most visible signs of adverse effect in the soil condition is unstable plankton bloom. DOSAGE:1 litre per acre in fish-2 litre per acre in prawn. USAGE:Day time in sunlight through water application. * Germs oxidizes toxic gases like NH3.H2s,No3 etc. * Germs improves DO level and reduce BOD and COD . We shall Endeavour to achieve total customer satisfaction by exceeding customer’s expectations through superior products, services and innovations in the field of aqua culture.We developing feed supplement and formulations for aqua farmers useful to different seasons and crops. Address: D.NO.7-24/3, Near Pipeline Road, Subash Nagar, Industrial Estate, Jeedimetla, Hyderabad-55. copyright 2014 - LeoAqua.in All Rights Are Reserved.